A Chinese social media user who filmed himself throwing away the shoes of a sleeping barefoot traveller has caused a social media storm. 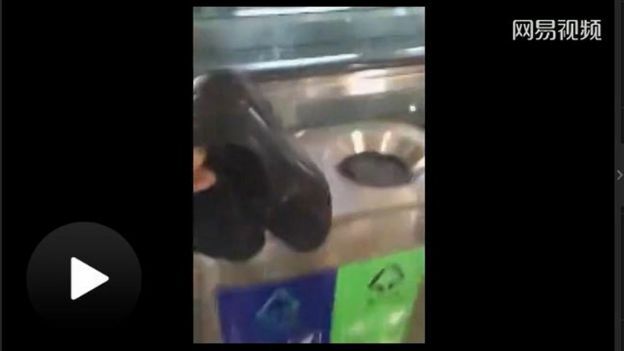 The video, uploaded to the popular web portal NetEase, shows an angry man at an airport in southern Xiamen province picking up the traveller’s shoes and throwing them into a nearby bin. Over 7,000 social media users have left comments on his video. A further 20,000 have posted on shares of the video on Sina Weibo by state media China Daily and China National Radio. The video by the man, who has not yet been named by the media, has caused a stir because it is frowned upon to be barefoot in China. 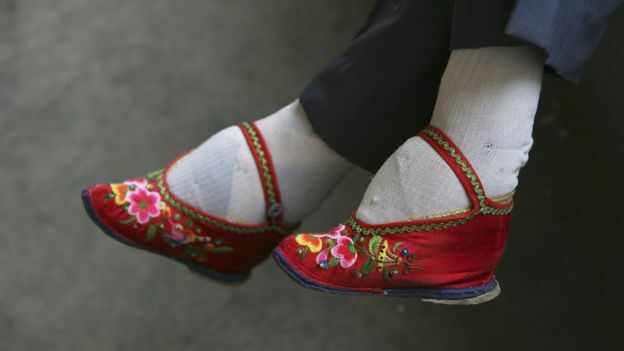 Feet have long played an important part in Chinese culture. In traditional Chinese medicine, they are considered crucial to a person’s health. And the ancient custom of binding a woman’s feet was a popular means of displaying status. Being barefoot is considered unhygienic, and in public it is an extreme taboo. But it is also frowned upon in the home. It is common practice for people – including visitors – to wear slippers around the house. The unnamed man who threw away the shoes of a barefoot traveller has won online respect. 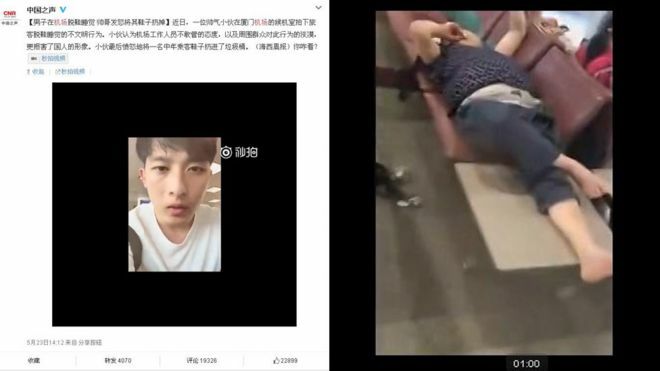 Many popular comments on NetEase and Sina Weibo users praised the “handsome” man for his actions. Many comments said he “did the right thing” and that the shoeless man was “breaking public order and morals”. Many said that the shoeless man’s behaviour was “uncivilised”, but others took an equally dim view of the vlogger, saying that “throwing away someone’s belongings is illegal”. “Marong” accused him of “grandstanding”, asking why he wasn’t “able to first talk with the man”. And “TristaBXGE” asked whether China needs to do more to improve its image which has been tarnished by badly-behaved tourists abroad.